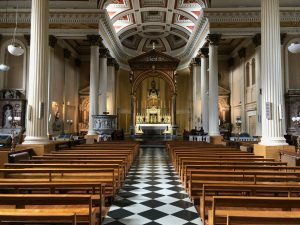 On Saturday the 15th of September our three movies will make their simple profession in St. Mary's Church, Popes Quay, Cork. 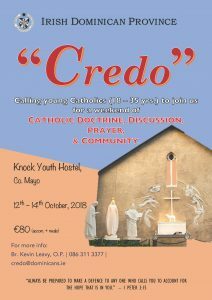 The Annual Fatima Novena in St. Mary's Cork takes place from the 29th of September till the 7th of October. Please join us as we pray to Our Lady of Fatima! 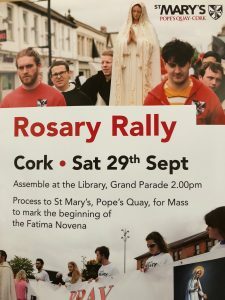 Rosary Rally, Cork. 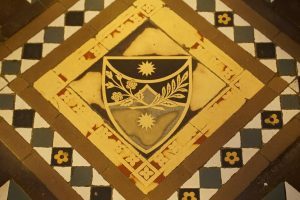 Assemble at the Library, Grand Parade at 2.00 pm. There is then a procession to St Mary's, Pope's Quay, for Mass to mark the beginning of the Fatima Novena. 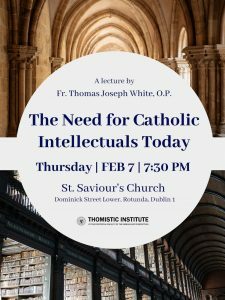 The annual Aquinas Lecture is given by Fr. Michal Paluch OP. The title is "How to be a student? How to be a master? Questions to Aquinas". 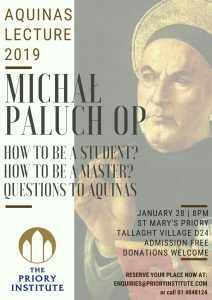 January 28th at 8pm in St. Mary's Priory, Tallaght Village, D24.